Channel 5 News recently visited the barbershop to film some footage for a segment they were doing on barbershop hygiene. The segment was about bad hygiene in barbershops, but was supposed to feature D&L’s as an example of a barbershop with excellent hygiene practices. Unfortunately, due to poor editing, the conversation turned to one of the barbers in our shop. In the segment, they had a gentleman talking about how his barber allegedly caused him to get a fungal infection due to poor hygiene, and then did a cutaway to Riaze Blade cutting hair. This edit made it seem as though Riaze was the barber being referred to; however, this isn’t the case. The gentleman interviewed isn’t a customer of any of ours, and has never even been to our shop. Riaze posted a picture on Instagram with his cleaning products and made a short statement to let people know they were not talking about him, however this just goes to show how an edit can go wrong and potentially ruin someone’s career. Although this hasn’t happened to Riaze, he’s taken a lot of slack for the segment. Many people that come to our shop have said they’ve had to defend him in their group chats from people that don’t know him and believe him to be the barber in question. But what about the others that aren’t in these group chats, or those without the back story as to the reasons why they were filming in the shop? 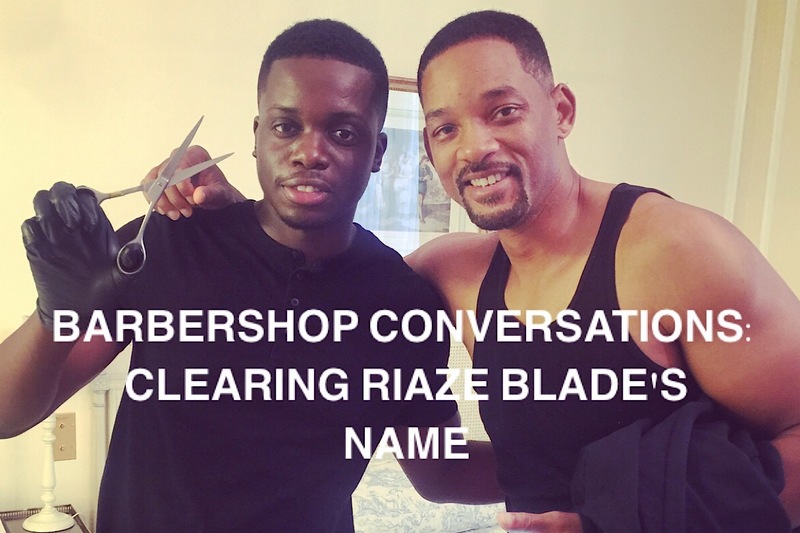 When I first watched the video, I didn’t immediately see Riaze being referred to as the barber with bad hygiene, but, as I said, that’s because I knew the full back story and what they were talking about. But when I watched it back, with a fresh pair of eyes, I soon understood the negative light it put him in. The editing created an untrue and damaging perception of him and his hygiene practices as a barber, which is simply unfair. His brand has been tarnished, and the number of potential clients he won’t get as a result of this is something we can’t measure. Do I think the video was intentional? No. But I do think it was carelessly edited without really thinking about how it looked. When you have the full picture about something, you don’t necessarily have the same objectivity to appreciate that it could come across in a completely different way to someone without the same picture as you. And when editing a news story for a national broadcaster, with the potential of reaching a large international audience, you have to see the picture from every angle. So, to clarify, the Channel 5 News segment was not about Riaze Blade or any of the other barbers at D&L’s. Check out our discussion in the barbershop on the subject.